Certain bands hit a legendary status where they can have others write music for them. We saw it last with the proto-new Monkees album that had contributions from both Harry Nilsson and Rivers Cuomo. Well, Blondie have hit that status. Although they don’t have the amount of material or the longevity (remember their 15 year break), Blondie shook music so much that they’re able to have outside help. But before we discuss the non-Blondie elements, we should discuss the band itself. This album has a renewed energy and a consistent groove to it, and it’s safe to say it rivals that of their original late ’70’s run. The band is locked in on every song. And, as with any great Blondie album, there’s a respectable mix of new wave, ballads, disco and punk. The album is bookended with two great rock songs, “Doom or Destiny” and “Fragments,” the latter sporting an unexpected and effective tempo change. “Long Time” balances out a pleasantly bouncy beat with a delicate bridge. “When I Gave Up On You” is a great ballad, and one that brings the album’s momentum down a bit. And although “My Monster” might not be the best track, the blending of guitar and synth over unexpectedly monotone vocals makes it arguably the most interesting. Debbie Harry hasn’t missed a beat – her voice dominates the album. It hasn’t changed in the slightest – modest, but dominating. Only in “Already Naked” does it feel like the band relies on her, though, which is good. In the album’s other ten tracks, her voice patiently but strongly leads the band. 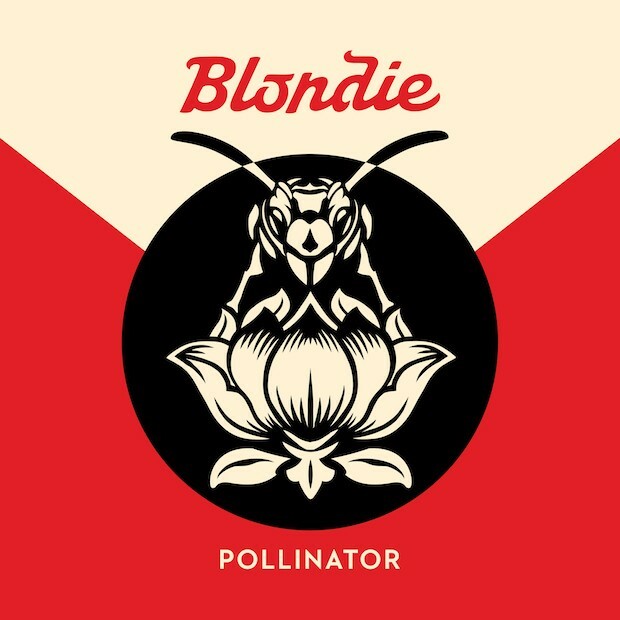 After a fairly mediocre outing where the band took on a more electronic approach, Blondie decided to tag in to some other writers for this album. This isn’t to say they’ve given up – merely that they felt fans would rather appreciate great songs written by other people to decent songs written by them. And the person who shows up the most in the songwriting credits is indeed Debbie Harry. The classic duo of Harry and guitarist Chris Stein penned two tracks on this album: opener “Doom or Destiny” and “Love Level.” Harry also has a credit alongside Blood Orange on “Long Time.” Keyboardist Matt Katz-Bohen and his wife Laurel are credited on two songs as well. Other songwriters that aided include Dave Sitek from TV on the Radio, Charli XCX, The Gregory Brothers, and Adam Johnston, a writer for YourMovieSucks.org. Almost ironically, the album’s weakest track “Best Day Ever,” was written by Sia and Nick Valensi of the Strokes. Despite the credits, the album is somewhat sparse on actual guest appearances. Joan Jett (who is not credited as a songwriter) appears on opener “Doom or Destiny.” Johnny Marr, Charli XCX, the Gregory Brothers and Adam Johnston appear on the songs that they co-wrote. The sole other appearance is that of John Roberts. Readers may know Roberts as the voice of Linda Belcher on the unbelievably great FOX animated show “Bob’s Burgers.” I do not know the circumstances that led him to appearing on a Blondie record. The track he shows up on, “Love Level,” is the only one that approaches hip-hop in any way. Admittedly, it’s pretty jarring, because it’s not only the only pseudo-rap heard on the album, it’s also the only prominent male voice. As a song, it works, but in the context of the album, it’s a little much of a curveball. At the end of the day, this is just a very good Blondie album. For a band that spent their heyday trying everything, they sound comfortable going back to some basics. They nail both the jams and the ballads, and they sound great as a collective. The energy is there, the diversity is there, and Debbie Harry’s vocals are there, so there is reason to rejoice. Forty-three years and eleven albums in, Blondie still sound young and fresh. And really, isn’t that what Blondie is supposed to be?